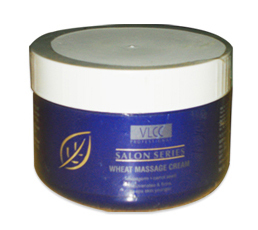 VLCC Salon Series Anti-Pigmentation, Wheat Massage Cream, Strawberry Cream, Strawberry Gel, Snigdha Face Cream, Fruits Anti-Tan Pack, Honey Moisturiser, Rose Water Toner, Almond Body Massage Oil, Melia Face Wash, Wild Turmeric Face Wash.
Cleanses face gently and effectively, without excessively drying the skin. It offers protection against acne as well as controls sebum secretion in the skin. VLCC Wild Turmeric Natural Cleanser with pure Honey and Turmeric has antiseptic properties that protect the skin from the daily damage. It removes microbes and pollutants from the pores leaving skin fresh and tingling. 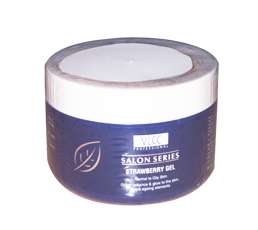 VLCC Honey Moisturiser enriched with Honey and Jojoba Oil, hydrates, nourishes and conditions the skin. It actively corrects skin's natural moisture balance making it smooth and supple. 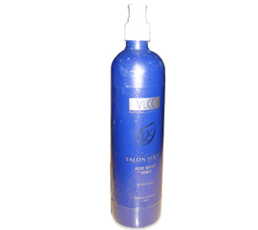 VLCC Rose Water Skin Toner acts as a cooling and refreshing agent. It tones, nourishes and balances the skin. 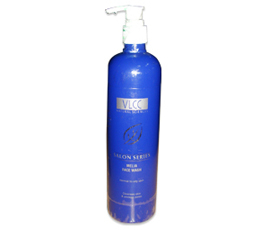 VLCC Almond Body Massage Oil unleash the sensual power through the ancient healing art of Aromatherapy. This oil is a blend of pure essential oils, all natural vegetable oils and exotic essence of Frangipani. 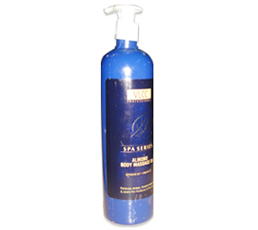 It helps in relieving specific stress, muscle tension and seals the moisture of the skin. 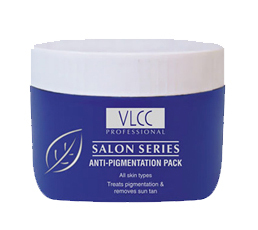 VLCC Anti-pigmentation Pack effectively treats pigmentation and removes sun tan making the skin tone even and vibrant. VLCC Fruits Anti-Tan Pack contains natural fruit extracts, uniquely combined with ayurvedic powder, in a cream base makes this a truly revolutionary product combining skin lightening action with all the cleansing, stimulating, smoothening, softening and nourishing benefits of a creamy soft pack. suitable for all skin types. 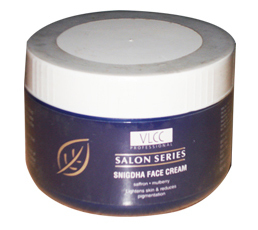 VLCC Snigdha Face Cream has skin-lightening co-agents like Liquorice and Wild Turmeric, with extracts of Mulberry & Lemon Peel which helps fade melanin deposits and lighten skin pigments without dehydrating the skin. VLCC Strawberry Cream contains Strawberry and Rose Extracts which stimulate skin cells and nourish the skin, leaving it healthy and glowing. VLCC Strawberry Gel contains Strawberry fruit extracts which is rich in Vitamin C that gives fairness and radiance to the skin. It has anti-oxidant properties that fortify skin to fight from ageing elements. This natural anti-wrinkle, nourishing cream controls pre-mature ageing of skin. Regular use helps to reduce the appearance of wrinkles and preserve the elasticity of skin. It makes the skin appear fresh, clear and more youthful.